The night is beautiful with the stars shining above you. Now, with these new bike paths, you can walk on your own little stars. Imagine this. You're on a bike ride in the evening, feeling the cool breeze through your hair, as you feel the last shimmer of rays gliding over your face as the sun sets. Soon enough, the moon is out in full glow and instead of the beautiful night sky being marred by the harsh streetlights, there's a soft glow coming from the path you're on. It's the kind of glow that reminds you of the beautiful Starry Night painting by Vincent Van Gogh. It's perfect. In fact, for some of you, it might be too perfect because it looks like a dream. But that dream may be much closer than you think, especially if you're in Poland. How does it work? If you're thinking it is powered by electricity, think again. These beautiful bike paths have a 100% natural power source that's completely eco-friendly - the sun. Illuminated by phosphor, the synthetic material lights up once it gets charged in the sunlight. Along with that, it is a “materials technology competence center for asphalt, concrete, earthworks, and geotechnical engineering.” This means that the moment day turns to night, the lane lights up like a glowstick. 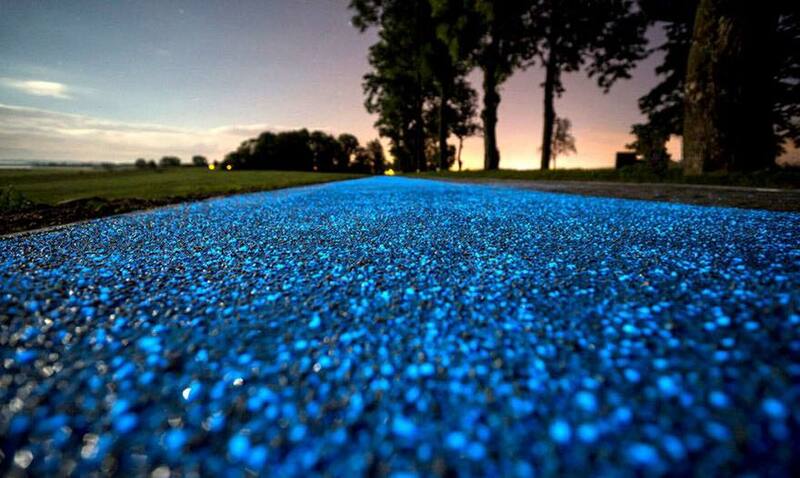 Located near Lidzbark Warminski, the idea was inspired by a similar glowing bike lane in the Netherlands designed by Daan Roosegaarde as a tribute to Van Gogh’s "The Starry Night." This innovative idea is the brainchild of TPA Association for Quality Assurance and Innovation. It's around 6 feet wide and 330 feet long with the cost hitting roughly $31,000. Igor Ruttmar, the president of the association says, "The material we used for the track gives light for over ten hours. That means the road can radiate throughout the whole night and reaccumulate light the following day." 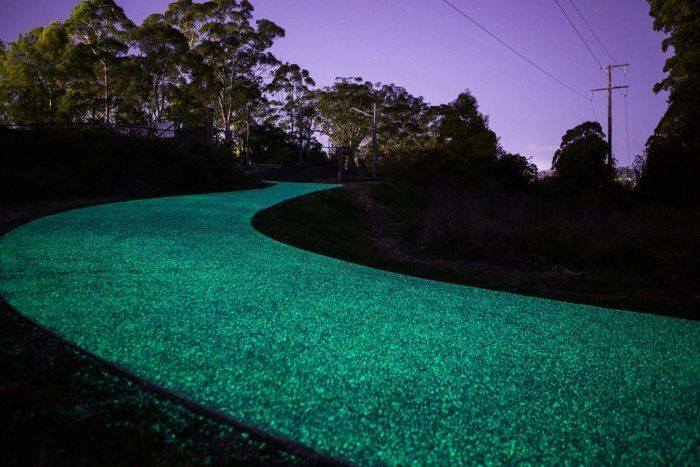 “We hope that the glowing bicycle path will help prevent bicycle and pedestrian accidents at night,” Ruttmar told ABC News. “It’s a problem here in Poland, especially in the areas farther from the cities that are darker and more invisible in the night." Apart from being an absolute visual treat, these bike paths are also it's cost-effective and sustainable because it will mean that the city can reduce the number of lamp posts and also save electricity and avoid unnecessary power lines in the neighborhood. And of course, once you set your eyes on it, one can never forget how beautiful it actually is. As much as people would love to have something this wonderful and energy efficient in their neighborhood, these gorgeous bike paths are still being tested. But hey, if this is the start, it could spread and soon you could be living in a city where innovative technology like this is a norm. The pictures of it show how beautifully it fits in with the landscape.